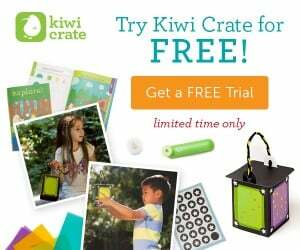 Right now, you can enjoy a free My Glowworm Friend and free trial of Kiwi Crate when you sign up for free here. Please bear in mind that you will be responsible for covering the cost of shipping with this freebie (which is $3.95). But, still, $3.95 isn’t much considering what you’re getting here. You automatically will be enrolled in Kiwi Crate’s monthly subscription, which you can cancel at anytime. With My Glowworm Friend, your child can create his or her very own glowworm friend that glows in the dark. It’s perfect for bedtime for your child. You will also receive a magazine filled with activities and information on all animals that naturally glow at night.